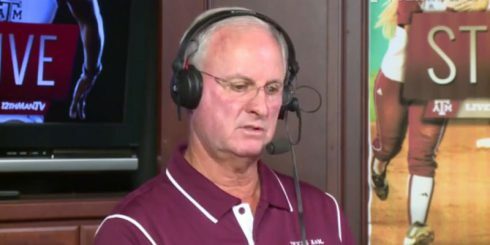 When Texas A&M’s Pat Henry complained about Oregon’s “unfair advantage” in hosting the NCAA Championships through 2021, he inadvertently called attention to the changing landscape of college athlete recruiting. Why Henry’s complaint is really about his position in the changing landscape of recruiting — rather than the advantage once on the track — is the subject of this week’s Three-and-Out. 1. It’s teams whose facilities and fans make it miserable for visitors that have the advantage. I speak here from personal experience in swimming and track competition. As an athlete, there’s little worse than stepping down — way down — in quality of facilities and weather for competition, especially when the home team is used to its crappy facilities and weather, and you’re not. I’ve raced in some bathwater pools with visibility of about a foot and run on some tracks that could have qualified as sand traps on a golf course. Trust me: The home team has the advantage. Top venues such as Historic Hayward Field provide a boost to all who enter, not just the home team. Top-flight facilities provide little, if any, advantage to the home team. Who’s going to get most excited about ice cream: the kid who gets it every day or the one who only gets it once a year and tonight’s the night? 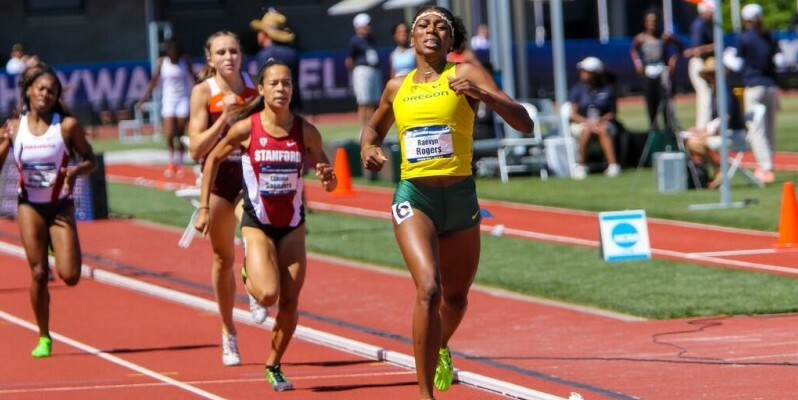 Indeed the Oregon men and women had some great performances, but a multitude of athletes from other schools had spectacular performances as well — some in the top five of the world. Obviously, they were not too badly affected by the homer Oregon crowd, nor were they struggling to get the feel of the track. Any athlete who has set foot in — or dived into — any world class sports venue will tell you what a lift the experience is. The Ducks maybe had the charge of a favoring home crowd, but Henry’s Aggies and the rest had the charge of a visit to Mecca. The Ducks won both men’s and women’s track & field championships not because they performed at a high level unique to the competition. They won because they had more competitors. And the Ducks’ men and women qualified their field-leading numbers at a meet in Austin, Texas, not Eugene, Oregon. The Texas meet was, without doubt, a crappy home field advantage for athletes who are used to having both temperature and humidity in the 90s — and also used to performing for a crowd limited to about 1100 family members who apparently couldn’t think of excuses fast enough. The Ducks couldn’t have been too excited to be there, but still they prevailed. With the qualifying meets in their sultry back yards, Texas A&M – and their sister SEC and Big 12 schools – have every advantage to get more competitors to the NCAA Championships than Oregon does. But they couldn’t beat the Ducks — by gaining more qualifiers — on their own turf. Then to turn around and cry “unfair” when they couldn’t beat them on Oregon’s own fine turf either — it makes you wonder what the real bee in Pat Henry’s bonnet is all about. 2. Texas A&M’s track & field recruiting has suffered. Though they’ve won more than their share of recent NCAA Championships, recruiting is not going well. Last year they were hoping that one recruit in particular would salvage an otherwise dismal class. That recruit happened to be an 800 meter runner from nearby Houston. Pat Henry’s real rub has to be with the recruiting advantage that Oregon has created — to his detriment. Here’s where we start to get to the bottom of Henry’s rub, because the 800 meter runner from Houston he needed to land to spruce up his recruiting class – Raevyn Rogers – not only went Ducky on him, but scored ten points by winning the 800. Now … if you were to take those ten points away from the Ducks women’s total of 59, you would come up with 49. Add those ten points to Texas A&M’s 47 points and you come up with 57, and an understanding of the real reason that Henry chose this particular time in history to speak up. Oregon has out-recruited and out-developed A&M – and the others – in track & field. And Oregon’s recent aggressiveness (and success) in Texas and with sprinters and hurdlers has to sit poorly with Henry, who, as it happens, has won his championships with sprinters and hurdlers from Texas. And now, with Oregon blossoming as a destination resort for national and world track & field events, the landscape has changed. 3. The change in the landscape goes beyond Henry and track & field. Changes in the recruiting landscape are bound to be first noticed with a peerless national treasure such as Historic Hayward Field and the team that calls her home. But there are a number of things besides the substance of Oregon’s success in track at play. 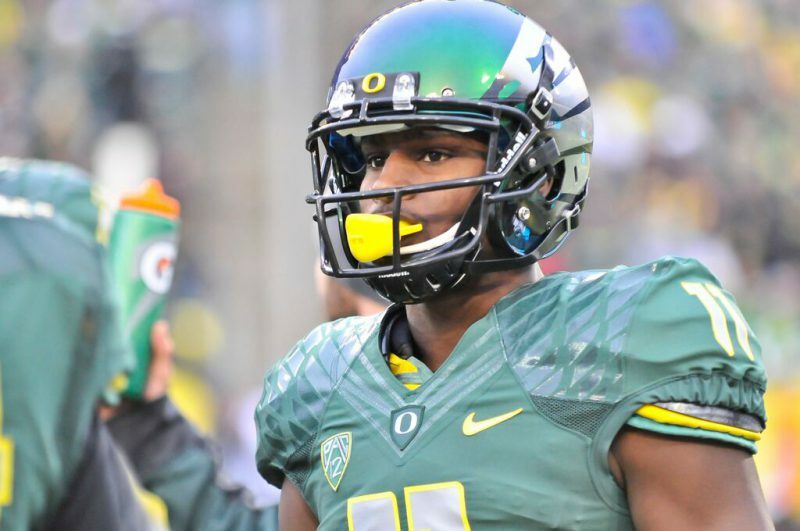 Bralon Addison is another recruit that the Ducks drew out of Texas. Historically, Oregon has recruited primarily the West Coast, with just a little here and there thrown in. Recent years have brought more of a national emphasis — and it has been successful. More and more, athletes are willing to head toward more distant colleges to pursue their dreams. Technology has to have a great deal to do with this. Cell phones, Skype, texting, tweeting — along with affordable air travel — make it pretty easy to stay in touch with family and friends from farther away. Satellite and cable television broaden recruits’ outlook on places where they might run track, play football, or whatever else they want to do. The Weather Channel tells them it’s not hot and sticky for over half the year everywhere. There’s just a lot of information floating around and it’s bound to open up options for today’s upwardly mobile youth. The expansion of athletic scholarships to full cost of attendance will further broaden options by making more home travel available. And for many, the argument that mom and dad can come see them play on the weekends is just not going to be enough, anyway. Especially when they can just shoot them a text. The Ducks’ primary advantage in all of this change is that they aren’t in the middle of a recruiting hotbed for much of anything. So, they have had to create the national presence, develop the facilities, establish the national recruiting model — do all things needed to maintain recruiting operations across the country. And because they were forced into it early, they have a leg up on the competition. Most notably at Historic Hayward Field, but the rest is coming along.